Kiosks are perfect for fast food concepts or “to go” orders, where the actual speed of the service is the main factor to retain customers and save up thousands of dollars per month. 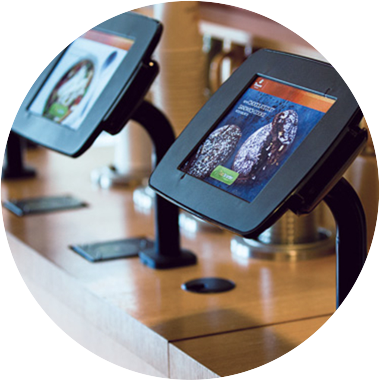 With our Kiosk, you can also reduce the wait times during peak hours by letting your customers place orders directly at the Kiosk without having to wait in a long line. • Orders can be tracked through the POS or sent directly to the kitchen. • Multiple checkout points to increase customer turnaround. • Bigger margins due to a decrease on labor costs. • Accessible statistics and reports at anytime. • Increased speed of service.